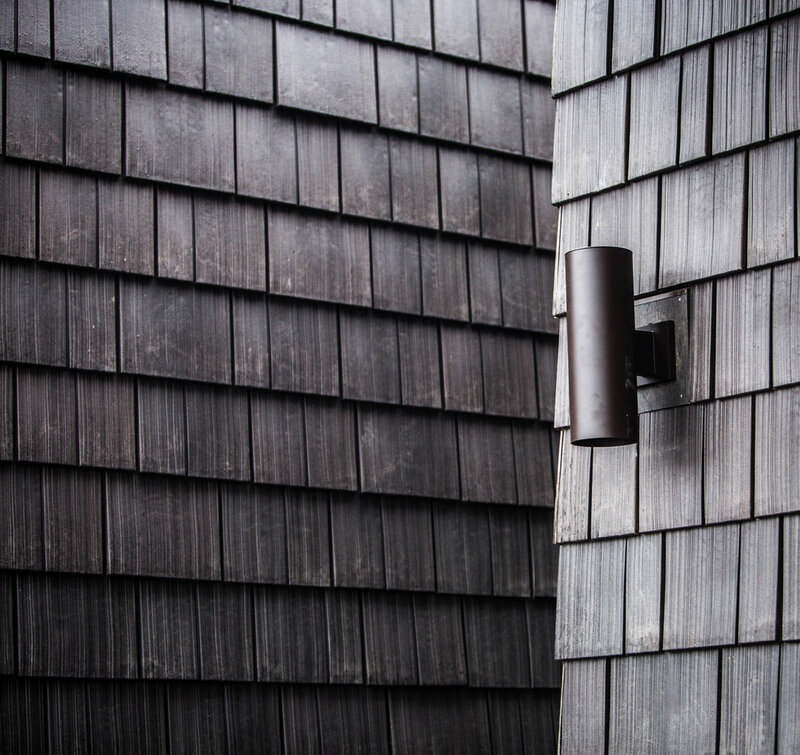 Under the soft light of a moderate rain storm, recycled shingles, woven corners, and a dark materiality begins to come to life, as construction progresses on a new residence in the Columbia River Gorge. Meanwhile, in South Beijing, the construction team is installing GFRC (glass-fibre-reinforced concrete) panels on the Daxing Villa, seen in these two (somewhat grainy) images. These massive panels are the outside-most component in a rainscreen cladding assembly designed to withstand the harsh environment, and achieve lasting materiality with a sense of gravitas through the projection and distribution of sheer volumetric mass.